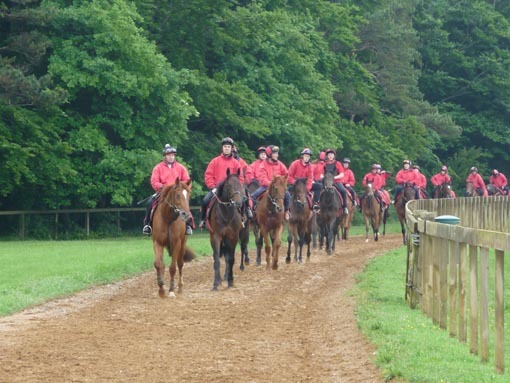 A visit to Newmarket - and this time it is all good news! We finally managed to get away from Swordlestown Little for a short visit to Angie and Mark Tompkins, in order to see the progress our homebred two year olds Khayar and Theola have made. The timing could not have been more perfect as, shortly after our arrival, Smokey Oakey (who is owned by one of Mark\'s more famous owners, Dame Judi Dench!) won the Group 3 Brigadier Gerard Stakes at Sandown. He can train them, as he modestly admits after opening the second bottle of the bubbly stuff! 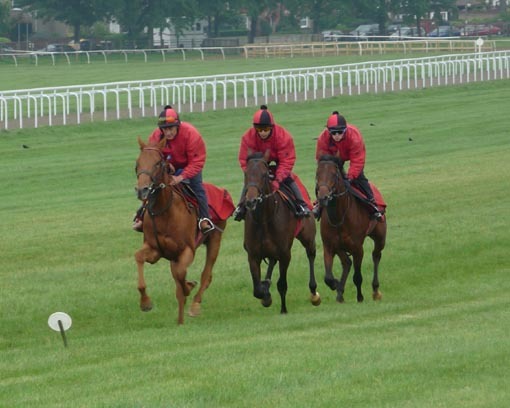 Left: Khayar (middle) cantering upsides, middle: Smokey Oakey, fresh from his Group 3 win with his proud trainer and my dad Richard and Khayar back in the yard after work (right). We could not have been more pleased with Khayar and Theola. They look well and happy, and have grown and developed. Both are doing everything they are asked willingly and easily. They are great ambassadors for us at Swordlestown Little and they do have plenty of potential. What an exciting time ahead! 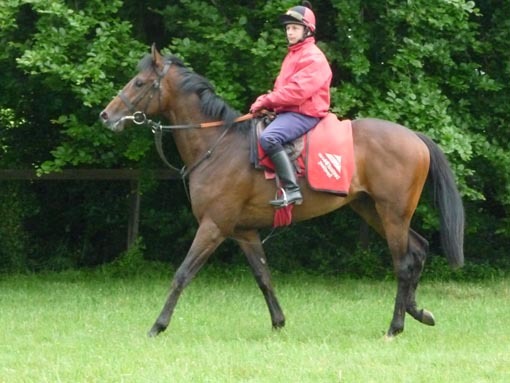 Khayar (Refuse to Bend - Khatela) has grown into himself and is a big and imposing individual. He is working with great fluency and ease. 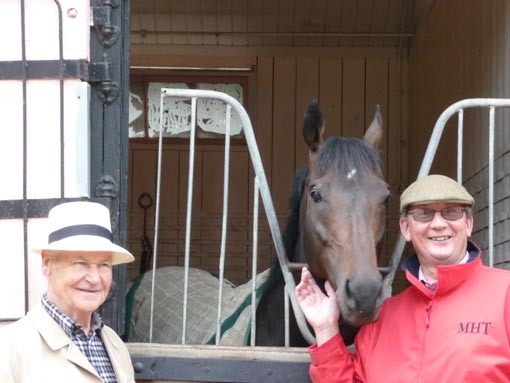 As a half brother to four winners including a black type horse in Massive, he is a truly exciting horse and his trainer clearly loves him. 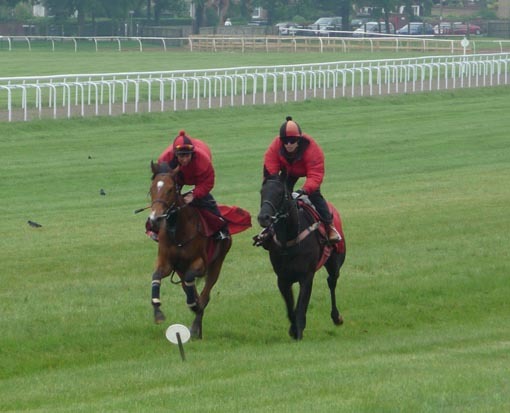 Theola (Kalanisi - Third Dimension) is a very pretty filly with a lovely easy and fluent action. She is very willing and a quick learner and is sure to do her owners Jessica and Philip Christey proud. We were delighted with our visit and would like to thank Angie, Mark and Claire for a wonderful day.